The fat lady is finally warming up for the fine folks at the BAU. CBS has announced it has renewed the long-running Criminal Minds TV show for a 15th and final season. As of now the plan is for the final season to consist of just 10 episodes, which will cap the series off with an impressive total of 325. Variety reports they will shoot, “back to back” with the 14th season, which is currently in production. 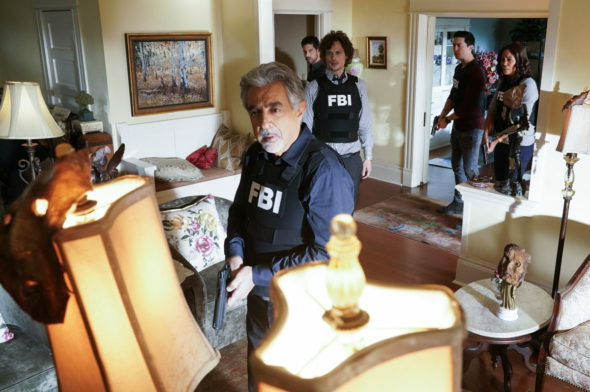 A CBS law enforcement procedural, Criminal Minds stars Joe Mantegna, Paget Brewster, Matthew Gray Gubler, A.J. Cook, Kirsten Vangsness, Adam Rodriguez, Daniel Henney, and Aisha Tyler. The crime drama follows the FBI’s elite Behavioral Analysis Unit (BAU) out of Quantico, Virginia. The BAU remains dedicated to understanding predators’ motive and triggers, in order to stop them before they strike again. The 14th season of Criminal Minds is averaging a 0.75 rating in the 18-49 demographic and 4.68 million viewers. Compared to season 13, that’s down by 24% and 18%, respectively. Find out how Criminal Minds stacks up against the other CBS TV shows. The show has also not been without controversy during its run. Most recently, Variety exclusively reported that the show’s long-time director of photography, Greg St. Johns, had faced multiple accusations of abusive behavior and sexual harassment towards crew members. St. Johns has since left the production. Prior to that, series star Thomas Gibson was fired from the show after an on-set altercation with a producer. What do you think? Are you still watching the Criminal Minds TV show? If it were up to you, would CBS cancel or renew Criminal Minds past season 15? Sound off in the comments.